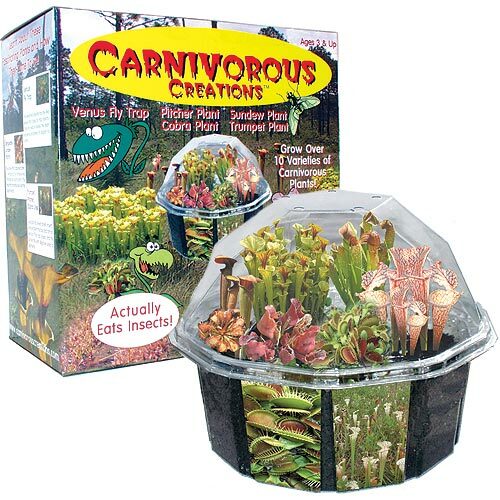 This kit has seeds from over ten varieties of carnivorous plants. Watch these fascinating plants grow into bug-eating monsters! Make your own authentic bog with the included peat planting mix, blue Swamp Rocks, three Bog Buddies and full color decals! This rare amd unusual collection of carnivorous plants will flourish for years in this specially designed terrarium with proper care.